National Commission on Terrorist Attacks (2004). 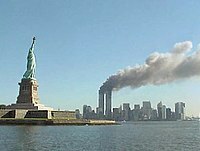 The 9/11 Commission Report: Final Report of the National Commission on Terrorist Attacks Upon the United States ; W. W. Norton & Company. ISBN 0-393-32671-3. 同時多発テロに関する独立調査委員会 『9/11委員会レポート ダイジェスト 同時多発テロに関する独立調査委員会報告書、その衝撃の事実』 WAVE出版、2008年。ISBN 4-87290-326-9. American Society of Civil Engineers (2003). The Pentagon Building Performance Report, January 2003; American Society of Civil Engineers. ISBN 0-7844-0638-3. Therese McAllister (Editor), Federal Emergency Management Agency (U.S.) (Producer), Federal Insurance and Mitigation Administration (U.S.) (Producer) (2002). World Trade Center Building Performance Study: Data Collection, Preliminary Observations, and Recommendations; Federal Emergency Management Agency（United States Government Printing）. ISBN 0-16-067389-5. ^ Livesey, Bruce (2005年1月25日). “Special Reports – The Salafist Movement: Al Qaeda's New Front”. PBS Frontline. WGBH educational foundation. 2011年10月18日閲覧。 Geltzer, Joshua A. (2011). US Counter-Terrorism Strategy and al-Qaeda: Signalling and the Terrorist World-View (Reprint ed.). Routledge. p. 83. ISBN 978-0415664523. ^ Matthew J. Morgan (August 4, 2009). The Impact of 9/11 on Politics and War: The Day that Changed Everything?. Palgrave Macmillan. p. 222. ISBN 978-0-230-60763-7. https://books.google.com/books?id=JDEfUCll7DcC. ^ a b Final Report of the National Construction Safety Team on the Collapses of the World Trade Center Towers (NIST NCSTAR 1). The National Institute of Standards and Technology. p. 2. https://ws680.nist.gov/publication/get_pdf.cfm?pub_id=909017 2018年8月23日閲覧。. ^ a b Final Report of the National Construction Safety Team on the Collapses of the World Trade Center Towers (NIST NCSTAR 1). The National Institute of Standards and Technology. pp. 45-46. https://ws680.nist.gov/publication/get_pdf.cfm?pub_id=909017 2018年7月22日閲覧。. ^ National Commission on Terrorist Attacks (July 22, 2004). The 9/11 Commission Report (first edition). W. W. Norton & Company. p. 285. ISBN 0-393-32671-3. http://govinfo.library.unt.edu/911/report/911Report_Ch9.pdf 2018年7月22日閲覧。. ^ Final Report of the National Construction Safety Team on the Collapses of the World Trade Center Towers (NIST NCSTAR 1). The National Institute of Standards and Technology. p. 26. https://ws680.nist.gov/publication/get_pdf.cfm?pub_id=909017 2018年8月15日閲覧。. ^ National Commission on Terrorist Attacks (July 22, 2004). The 9/11 Commission Report (first edition). W. W. Norton & Company. p. 287. ISBN 0-393-32671-3. http://govinfo.library.unt.edu/911/report/911Report_Ch9.pdf 2018年7月22日閲覧。. ^ Final Report of the National Construction Safety Team on the Collapses of the World Trade Center Towers (NIST NCSTAR 1). The National Institute of Standards and Technology. p. 27. https://ws680.nist.gov/publication/get_pdf.cfm?pub_id=909017 2018年8月25日閲覧。. ^ National Commission on Terrorist Attacks (July 22, 2004). The 9/11 Commission Report (first edition). W. W. Norton & Company. pp. 293-294. ISBN 0-393-32671-3. http://govinfo.library.unt.edu/911/report/911Report_Ch9.pdf 2018年7月22日閲覧。. ^ a b Final Report of the National Construction Safety Team on the Collapses of the World Trade Center Towers (NIST NCSTAR 1). The National Institute of Standards and Technology. p. 148. https://ws680.nist.gov/publication/get_pdf.cfm?pub_id=909017 2018年7月22日閲覧。. ^ National Commission on Terrorist Attacks (July 22, 2004). The 9/11 Commission Report (first edition). W. W. Norton & Company. p. 294. ISBN 978-0-393-32671-0. http://govinfo.library.unt.edu/911/report/911Report_Ch9.pdf 2014年1月24日閲覧。. ^ Purpura, Philip (2007). “Life safety, fire protection, and emergencies”. Security and Loss Prevention: An Introduction (5th ed.). Elsevier. pp. 300. ISBN 978-0080554006. https://books.google.com/books?id=ir4gbdZLlOEC&pg=PA300 2017年9月16日閲覧. 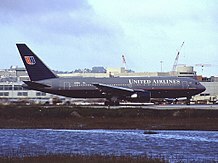 "Almost all the 600 people in the top floors of the south tower died after a second hijacked airliner crashed in the 80th floor shortly after 9 am. The failure to evacuate the building was one of the day's great tragedies." ^ National Commission on Terrorist Attacks (July 22, 2004). The 9/11 Commission Report (first edition). W. W. Norton & Company. p. 305. ISBN 0-393-32671-3. http://govinfo.library.unt.edu/911/report/911Report_Ch9.pdf 2018年8月25日閲覧。. ^ National Commission on Terrorist Attacks (July 22, 2004). The 9/11 Commission Report (first edition). W. W. Norton & Company. p. 311. ISBN 0-393-32671-3. http://govinfo.library.unt.edu/911/report/911Report_Ch9.pdf 2018年8月25日閲覧。. ^ National Commission on Terrorist Attacks (July 22, 2004). The 9/11 Commission Report (first edition). W. W. Norton & Company. p. 314. ISBN 0-393-32671-3. http://govinfo.library.unt.edu/911/report/911Report_Ch9.pdf 2018年7月22日閲覧。. ^ a b Goldberg, Alfred (2007). Pentagon 9/11. Washington, D.C.: United States Government Printing Office. p. 17. ISBN 978-0-16-078328-9. ^ Goldberg, Alfred (2007). Pentagon 9/11. Washington, D.C.: United States Government Printing Office. p. 80. ISBN 978-0-16-078328-9. ^ Goldberg, Alfred (2007). Pentagon 9/11. Washington, D.C.: United States Government Printing Office. pp. 80-82. ISBN 978-0-16-078328-9. ^ Goldberg, Alfred (2007). Pentagon 9/11. Washington, D.C.: United States Government Printing Office. p. 20. ISBN 978-0-16-078328-9. ^ Goldberg, Alfred (2007). Pentagon 9/11. Washington, D.C.: United States Government Printing Office. p. 3. ISBN 978-0-16-078328-9. ^ “Bin Laden claims responsibility for 9/11”. CBC News. (2004年10月29日). 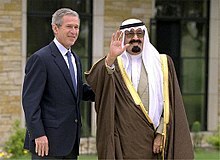 http://www.cbc.ca/world/story/2004/10/29/binladen_message041029.html 2011年9月1日閲覧. "Al-Qaeda leader Osama bin Laden appeared in a new message aired on an Arabic TV station Friday night, for the first time claiming direct responsibility for the 2001 attacks against the United States." 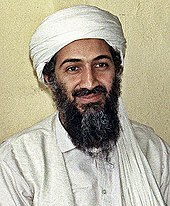 ^ “Bin Laden on tape: Attacks 'benefited Islam greatly'”. CNN. (2001年12月14日). オリジナルの2007年12月27日時点によるアーカイブ。. 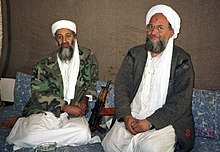 https://web.archive.org/web/20071227125232/http://archives.cnn.com/2001/US/12/13/ret.bin.laden.videotape/ 2013年11月24日閲覧. "Reveling in the details of the fatal attacks, bin Laden brags in Arabic that he knew about them beforehand and says the destruction went beyond his hopes. He says the attacks "benefited Islam greatly"." ^ “We left out nuclear targets, for now”. The Guardian (London). (2003年3月4日). オリジナルの2008年1月23日時点によるアーカイブ。. https://web.archive.org/web/20080123195032/http://www.guardian.co.uk/international/story/0%2C3604%2C906911%2C00.html 2011年9月3日閲覧. "Yosri Fouda of the Arabic television channel al-Jazeera is the only journalist to have interviewed Khalid Sheikh Mohammed, the al-Qaeda military commander arrested at the weekend. Here he describes the two-day encounter with him and his fellow organiser of September 11, Ramzi bin al- Shibh: ... Summoning every thread of experience and courage, I looked Khalid in the eye and asked: 'Did you do it?' 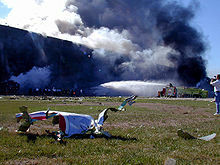 The reference to September 11 was implicit. Khalid responded with little fanfare: 'I am the head of the al-Qaeda military committee,' he began, 'and Ramzi is the coordinator of the Holy Tuesday operation. And yes, we did it.'" ^ a b "Chapter of the 9/11 Commission Report detailing the history of the Hamburg Cell Archived August 16, 2009, at the Wayback Machine.". 9/11 Commission. ^ a b 9/11 Commission Report, Chapter 5, pp ?? ^ 9/11 Commission Report (2004), p. 47. ^ "Wartime". National Commission on Terrorists Attacks upon the United States. U.S. Congress. Retrieved 2011-09-03. ^ 'Shadow Government' News To Congress". CBS News. March 2, 2002. Retrieved 2011-09-04. ^ Stefan Talmond, 'The Security Council as World Legislator' (2005) 99 American Journal of International Law p.175. ^ Alexander Reilly, Gabrielle Appleby and Laura Grenfell. Australian Public Law (Oxford University Press, 2011) p.
^ Scobell, Andrew (2004). “Terrorism in the Asia-Pacific: Threat and Response”. The Journal of Asian Studies 63 (4): 1078–9. doi:10.1017/S0021911804002463. http://journals.cambridge.org/action/displayAbstract?fromPage=online&aid=788144 2014年1月20日閲覧。. ^ "Freedom Tower has a new preferred name". Associated Press. 2009-03-26.